Rip and Copy Top 10 New Hindi Movies (2014) DVD to PC, Apple, Android etc. Do you love watching Hindi movies? 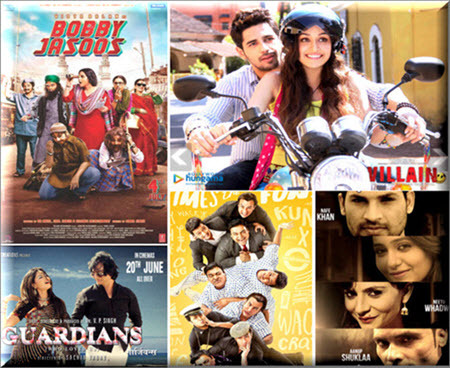 How many new Hindi movies released in 2014 do you really know? Here we will give you a list of top 10 new Hindi movies 2014 and the best DVD ripper to rip and copy new Hindi movies DVD as easy as a pie. How to Rip and Copy New Hindi Movies DVD? Rip/Copy New Hindi Movies DVD to PC or Portable Devices. It's a film that compliments the aspiration of a man named Bobby, who has a willing for becoming the top detective in an old city - Hyderabad. The story happens in a typically conventional society. Hupa Mishap and Bacchanal Tiwa are going to get married, but Cheri combination is called off because the brother of Bacchanal wants a lump-sum from Hupa's father. At this time, Hupa meets a common villager Jabiru... This is a story about how Jabiru tries to fight up against the evil institutions. Everyone has her or his mother and there was a time when many people can do everything for Mother, even giving up her or his life. But nowadays, the situation of "Mother Cow" has changed, even the people who could quite his or her life for mother are OK with taking mother's life. Nothing has been altered but priorities. This film describes the changes between Miss India pageant and a Hindu girls' camp. Rehi Singh is a girl competing to win the ticket to start her career from Miss India pageant... You can clearly see the portrait of the largest democracy in the world created by the director. What a rich and varied new Hindi movies list! You can indulge yourself in those fire-new Hindi films once they are being released. For those who have bought or will get the new Hindi movies DVD, we also give you the knack of ripping and copying those DVDs to digital portable resources, convenient to store and play back. No matter you want to copy DVD to general video on PC or play DVD on your portable devices like iPhone, iPad, Android phones and tablets, WinX DVD Ripper Platinum is absolutely a good bet. 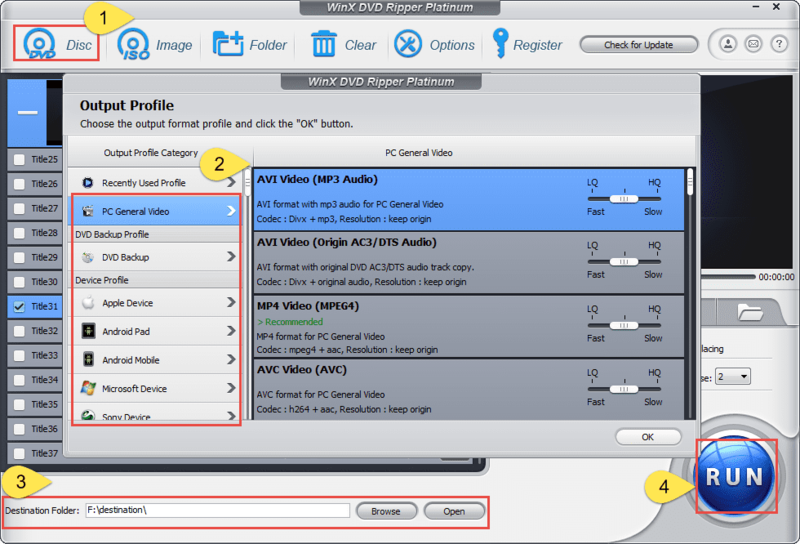 Note: Since there's a large range of output formats and devices here, you can just choose one according to your personal needs, like you can just backup your DVD's main title or full title, you can convert your latest Hindi Movies DVD to MP4, rip DVD to AVI, AVC, MPEG, WMV, MOV, FLV, or you can directly play your DVD on Apple iPhone 7/SE, iPad Air/mini/Pro, Samsung Galaxy S7/Note 7, HTC One, Google New Nexus 7, Box One, PSP/PS4 etc. The software developer only advocates copying DVDs for personal use and suggests referring to the DVD copyright laws in your countries before doing so. 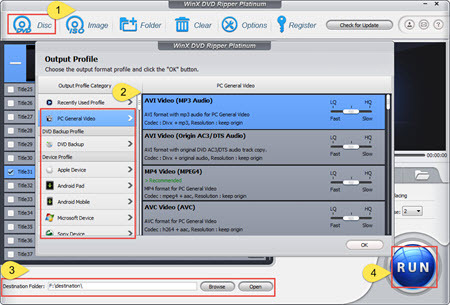 If you need to fast rip DVD to MP4, AVI, WMV, MPEG, iPhone, iPad, Android/Microsoft smartphones or tablets, please turn to WinX DVD Ripper Platinum. How to Backup 2013/2014 New Sci-Fi Science Fiction Movies? How to Copy New Horror Movies (on DVD) 2014 to Mobiles?